MORRO BAY celebrates Oysters annually. Whether you like them raw, or cooked, or NOT at all… these crustacean delicacies have been harvested by Morro Bay residents and tourists since the early 1900s. Morro Bay is the home of two oyster farms; the Grassy Knoll Oyster Company and the Morro Bay Oyster Company. Take a back bay adventure tour to view these farms up close and personal. 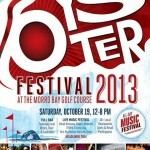 So proud of this industry, Morro Bay pays homage to the oyster by hosting an annual festival. If they’re farm-raised, “There’s no reason you can’t eat oysters in months that end with ‘r’,” according to Neal Malony, owner of the Morro Bay Oster Company. This is not the case with Wild oysters typically spawn in those “r” months. Oysters make your heart stronger and brain sharper due to their omega-3 fatty acids. They’re also loaded with vitamin E, an antioxidant, and high levels of calcium, iron and vitamins keep your bones, blood and eyesight in good shape. The highest source of zinc found in any food and the amino acids in oysters also boost testosterone and estrogen, which is why they are touted as aphrodisiacs. Keep looking great, as oysters help maintain collagen levels in your skin and they are high in protein, but low in calories. Morro Bay honors the Oyster at an October Festival. This year 10 wineries are participating, all of them featured in a “grape garden” where you can taste from each of the brands. 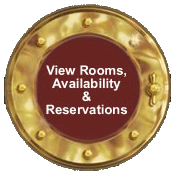 You can also buy wine and beer at various beverage stations which you pay for with beverage tickets you purchase when you check in. It all takes place from noon to 8 p.m. with tickets available at the gate. You can park free on the Embarcadero, and ride a free shuttle to the event. Or, new this year, you can park at the event for a fee. Among the great additions to the contests besides the chef’s competition is the shucking contest. Many outstanding food trucks will serve foods you can purchase all day. Your ticket includes the all-day music festival, and all attractions. Grassy Bar is an oyster bed on Morro Bay estuary, cared for by the Trevelyan family of Cayucos. We are stewards of the back bay’s tidal flats and channels where the shelly molluscs are planted and tended. Refreshingly briny, with an unmistakable taste of watermelon, even the name denotes a warm ocean breeze whistling through beach grass and over sand dunes. These brave Pacific oysters grow robust and deep cupped in the cold open ocean waters. With his degree in Marine Biology from the University of Oregon, Neal now raises about 750,000 fantastic tasting oysters annually. And while the variety, Pacific Gold, aren’t native to the Central Coast–Maloney gets his babies, no bigger than a pencil eraser, from Washington–they have been raised here since the 1930s. It’s the same variety as Hama Hama from Washington, but here they take on characteristics unique to Morro Bay. These oysters are farmed by placing the small baby nubs, no bigger then a pencil eraser, in mesh bags that sit along floating platforms in the back bay, and Maloney and his team shake the bags every day, which helps keeps the oysters separated. This also helps the oyster grow a good deep cup so the meat develops a perfectly firm texture. The oysters take 12 to 24 month to grow the best size, and then they’re hand harvested daily. These are really lovely oysters with a great crisp flavor and wonderful texture. When serving freshly shucked oysters on the half shell, Maloney suggests following the three Cs–cold, cut and clean. When you shuck them, make sure they are cold, that the muscle is cut, and all of the shell particles are removed. Then slurp them down.